WILLEMSTAD - 'APC Bank', the Curaçao General Pension Fund, is the umbrella for the merger of Giro Bank, the Central Mortgage Bank (CHB) and PSB Bank. In addition, Guangdong Zhenrong Energy (GZE) has a strong participation. This would serve multiple goals at once, including a solution to the Giro Bank issue, which has already been under emergency management since 2013. The CHB is for, the largest part, owned by APC pension fund, while the former Post Savings Bank (PSB Bank) is still fully owned by the government. The Chinese GZE would have indicated interest in engaging with the new APC Bank; via PSB State Bank or directly. 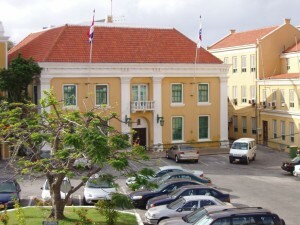 The Council of Ministers decided last week to initiate the process to create this new bank, according to the Minister of Finance Kenneth Gijsbertha.